The Open Championship golf courses represent the best that British linksland golf has had to offer since the first Championship was played at Prestwick in 1860. Since then The Open has been played over fourteen golf courses, each worthy of challenging the world's best players of the day and an Open Championship golf course guide encompasses the best of British golf. The links at Prestwick held the first ever Championship in 1860, with Musselburgh man Willie Park Senior, went on to host The Open on 24 occasions, and was host to the first non Scottish winner with Englishman John Ball triumphing in 1890. A unique golfing experience featuring swales, sleeper lined bunkers and even a blind par -3 played over a sand dune, Prestwick was also the venue where Harry Vardon secured his record sixth Open Championship in the last event before the onset of the First World War. Prestwick held the first 12 Opens before the Championship moved to St Andrews in 1873 and Musselburgh Old Course the year after, and these courses dominated the early Championships with a three course rotation in operation until the introduction of Muirfield ended the sequence in 1892 following the move of the Honourable Company of Edinburgh Golfers to their new home from Musselburgh in 1891. Prestwick eventually hosted The Open on 24 occasions, with the last being played in 1925, a record only taken by St Andrews when the Championship was played over the Old Course in 1995. Musselburgh Links hosted the Open on six occasions between 1874 and 1889 over land that historians believe have had golf played over them since the seventeenth century. The nine hole layout featured the first play-off in Open Championship history when Willie Fernie defeated Bob Ferguson in 1883. 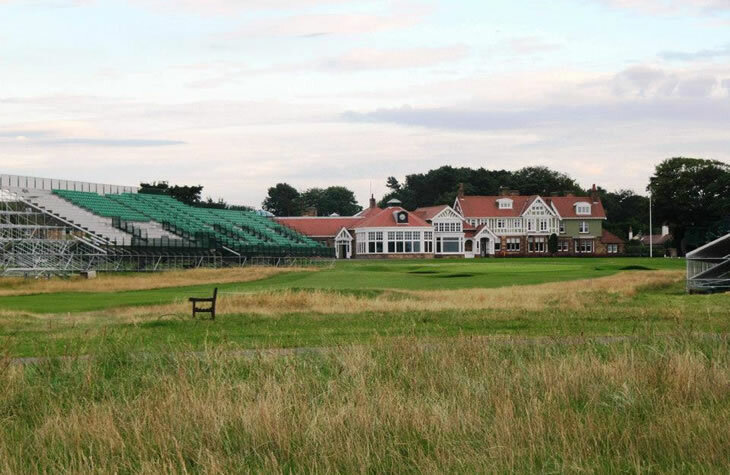 The Championship has visited a number of famous links that, as is the case with Prestwick and Musselburgh, represented exacting tests when The Open was hosted, but are no longer suitable for modern Championship golf. Royal Cinque Ports first hosted the championship in 1909 with the great English amateur J H Taylor triumphant and the course at Deal still holds the record for the greatest comeback with George Duncan coming back from a 13 stroke deficit to win in 1920. Another links in the South East of England, Prince’s Golf Club, hosted The Open on just one occasion, in 1932, when the great American Gene Sarazen won with what was then a record 72 hole total for the event. 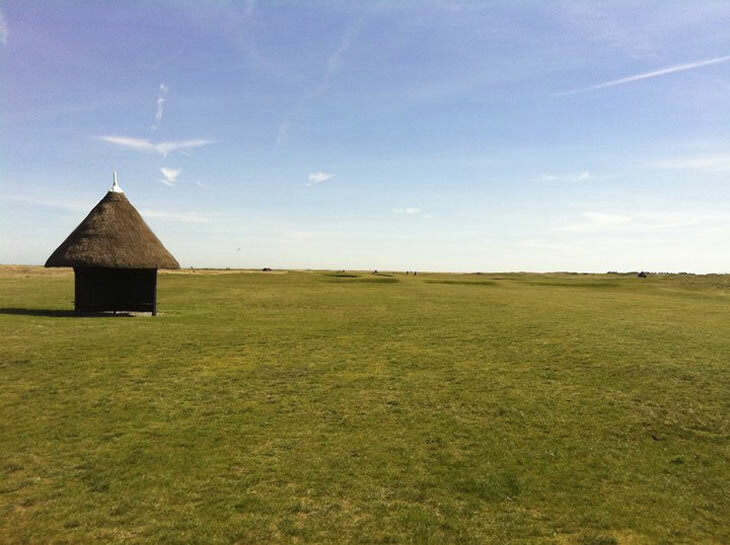 Probably limited to just one Championship by decimation in World War II as a Royal Air Force bombing practice run, Prince’s is once again one of the premium links boasts 27 holes of great links golf. In 1951, Royal Portrush in Northern Ireland became the first, and to date only, course not on the British mainland to hold the event. A Harry Colt layout built on the site of a links laid out by Old Tom Morris, Portrush is a challenging links set in a stunning location. All of these courses remain excellent tests and their history and Open traditions ensure they remain near the top of many golfers must play lists. The courses currently on the Open Championship Rota are world famous Championship tests and need no introduction to anybody with an interest in the game. St Andrews Old Course remains the spiritual heart of the game and home to the Royal & Ancient Golf Club who run the Open Championship. First hosting the championship in 1873 and home to the legendary Tom Morris Snr and his son Tommy Jnr, who between them won eight titles, the winners list is testimony to the challenge. J H Taylor, Sam Snead, Peter Thomson, Bobby Locke, Jack Nicklaus, Seve Ballesteros, Nick Faldo and Tiger Woods have all won over the Old Course. Muirfield, the home of the Honourable Company of Edinburgh Golfers, located in Gullane on the East Lothian coast, is another venue with a stellar list of champions from Harry Vardon to Phil Mickelson. Considered by many to be the fairest test of all the Open Venues, two loops of nine going in different directions ensure that golfers are tested with the wind from every direction and with less of the hidden danger found on some other courses. Royal St. Georges (first open 1894), Royal Liverpool (1897), Royal Lytham & St Annes (1926) and Royal Birkdale (1954) are the current English representatives on the rota. In the South East corner of the country, Royal St. Georges held the first championship south of the border and has hosted more Open’s than any other English course. Popularly known as Sandwich it famously provided the first British winner for 16 years when Sandy Lyle lifted the Claret Jug in 1985, the first victory for a Scot since 1920. Royal Liverpool was the first of the trio to host the championship (1897) and is most famous for Bobby Jones completing the second leg of his grand slam over the links in 1930. Having hosted the event in 1967 it fell off the rota due to a lack of the space required for the modern Open but these issues were resolved and Hoylake made a welcome return in 2006 when Tiger Woods put his stamp on the course. Bobby Jones also looms large in the folklore of Royal Lytham & St Annes who won its first championship in 1926. Lytham, a links course where you cannot actually see the sea, also witnessed the win of Tony Jacklin in 1969, the first British winner in 18 years, which remains the record for the longest periods without a home victory. Royal Birkdale was introduced to the rota in 1954 and is a classic links with holes winding through the towering sand dunes that characterise the stretch of land to the north of Liverpool. With a list of winners drawn from some of the games greats including Thomson, Palmer, Trevino and Watson, Royal Birkdale is the only venue not to have had a British winner. Back north of the border, Royal Troon on the Ayrshire coast hosted its first Open in 1923 and its traditional out and back layout mean that if the wind is in the players faces on the inward stretch the course provides perhaps the toughest finish on the rota. This does not seem to have hampered players from the United States, however, with six of Troon’s eight champions hailing from America. If Troon is renowned for the challenge of its closing holes then Carnoustie is perhaps considered to be the toughest overall test on the Open Championship rota. Golf has been played here since the 16th Century and Allan Robertson, Old Tom Morris and James Braid have all helped shape a layout that is long and narrow with bunkering set up to punish all but the best of shots. Carnoustie hosted its first championship in 1931 but it is most famous for the 1953 edition when Ben Hogan arrived two weeks early to practice on the course, setting up his third major title of the year. The Ailsa course at Turnberry, running along the dramatic Ayrshire cliff tops with views of Ailsa Craig, is the latest addition to The Open rota hosting its first Championship in 1977. 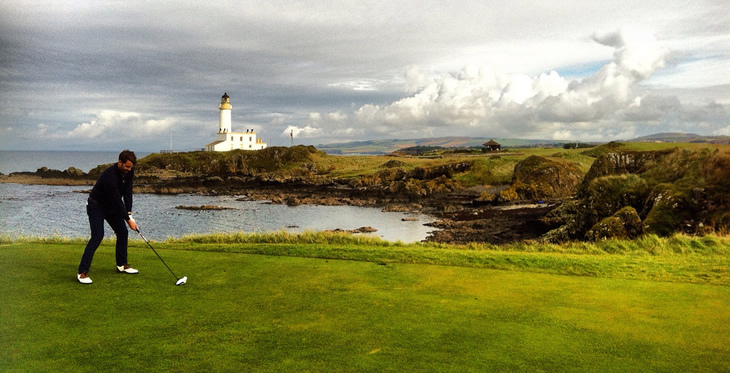 That years ‘Duel in the Sun’ between Jack Nicklaus and eventual winner Tom Watson, has become one of the most recounted in Open folklore, establishing Turnberry as a worthy Open Championship venue. 1 – Prince's and Royal Portrush have only hosted the Open on a single occasion. 2 - Royal Troon and Turnberry are the only venues not to have been won by a native of their country. 3 – Most victories by amateurs at a single venue with Harold Hilton, J H Taylor and Bobby Jones all triumphing at Royal Liverpool. 5 – St Andrews has witnessed the most victories in a play off. 6 - All six champions over Musselburgh Links were Scottish. 15 – St. Andrews has had the most champions from overseas.